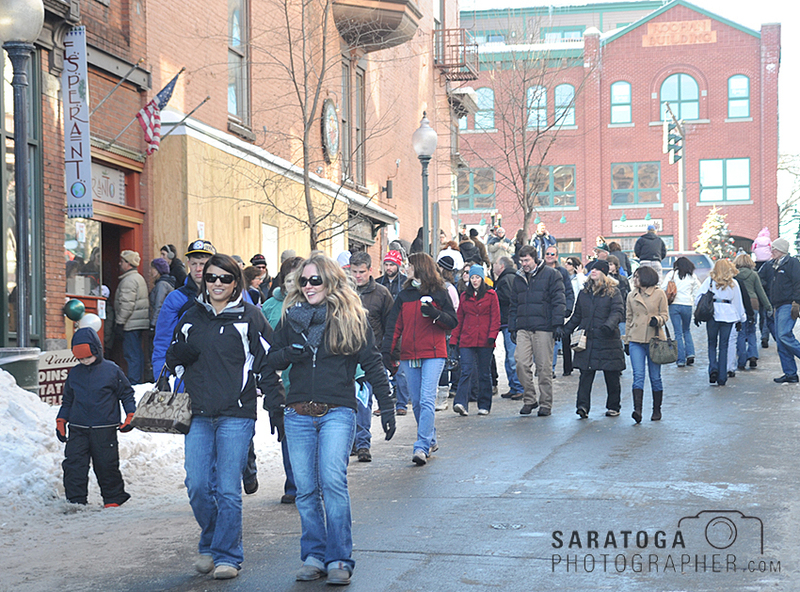 The Chowder Festival in Saratoga Springs is one of the city’s major tourism events. The Saratoga Convention & Tourism Bureau held its 32nd annual meeting and dinner at the Saratoga Springs City Center in March where the organization highlighted the successes of 2016, reviewed initiatives for 2017 and welcomed new members to its board of directors and Executive Committee. Successes were listed in the 2016 annual report. It showed that the convention/group business continued to grow throughout 2016. More corporate group, sports and wedding leads and associations signed multi-year contracts again in 2016. The year saw 627 events hosted, compared to 422 in 2015. Those events resulted in 90,908 room nights, up 11.8 percent from 2015. The estimated economic impact of those figures was $57 million last year, compared to $45 million in 2015. The report said the group market contributes one in five room nights in Saratoga Springs. Recognized at the dinner were those elected to serve on the Executive Committee for 2017-18. They are Cindy Hollowood, chairperson, Holiday Inn Saratoga Springs; Thomas Newkirk, immediate past chairperson, Saratoga National Golf Club; AJ Bodden, incoming chairperson, Townsquare Media Group; Marianne Barker, treasurer, Impressions of Saratoga; and Robert Berrey, at-large officer, The Gideon Putnam. 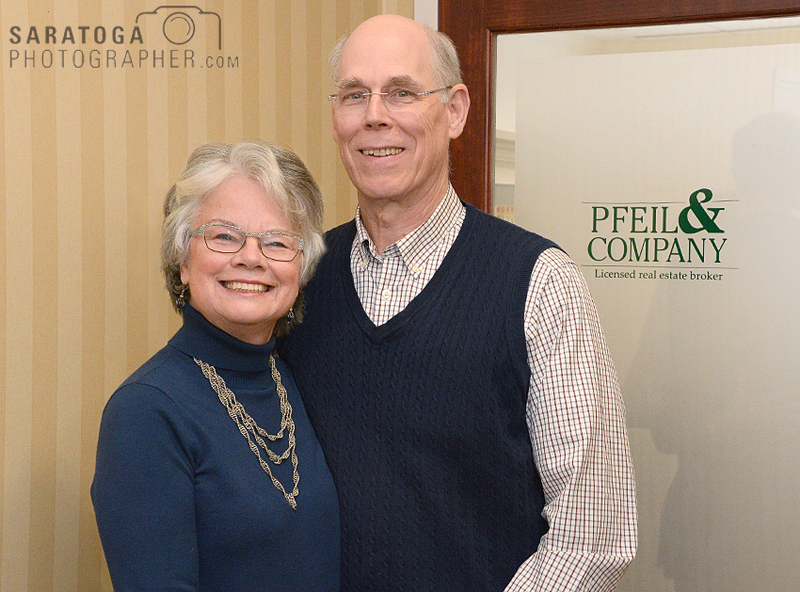 Jeff and Deane Pfeil created Pfeil & Co. Real Estate in Saratoga Springs in the 1990s. As Jeff and Deane Pfeil prepare to transition out of their commercial real estate and development careers and into their new lives on Bainbridge Island in Washington state, they have a lot to be proud of and a lot to be grateful for. The husband-and-wife team created Pfeil & Co. Real Estate and moved to Saratoga Springs from Westchester in 1994. Both were commercial real estate brokers and they started out managing shopping center developments, moving into doing historic restorations and adaptive re-use apartments. Deane was born and raised in Troy, while Jeff comes from the small town of Carmel, in Putnam County. Looking back on their careers, Deane recalls that there was no internet when they first began and it took a lot of cold-calling to develop a client base, something at which she excelled. “We liked to joke that I would get them on the line and Jeff would reel them in,” she said. The Pfeils first major project in Saratoga Springs was the office building at 340 Broadway. “The property had been sitting vacant since 1969, and we kept asking ourselves why nothing had been done with it,” she said. Deane zeroed in on Eddie Bauer and “barraged” them with flyers, mailings, and information about Saratoga Springs. Congress Plaza in Saratoga Springs will soon be the home of a new taproom selling craft beers from a Washington County farm brewery business. R.S. Taylor & Sons Brewery is renovating a 1,600-square-foot space in Congress Plaza. The business will go into the end unit in the southern portion of the plaza that was formerly Bubbles Laundromat. Renovations involve putting in a bar and tap service. “It shouldn’t take long to do what we need to do,” said Rich Taylor, owner of the farm brewery business and its chief brewer. The main issue is getting all the necessary operating permits. “We hope to be open by Memorial Day weekend,” he said. The company currently operates a tap room on the farm property where people go to quaff the locally made product and occasionally listen to music. Under the farm brewery license, companies like R.S. 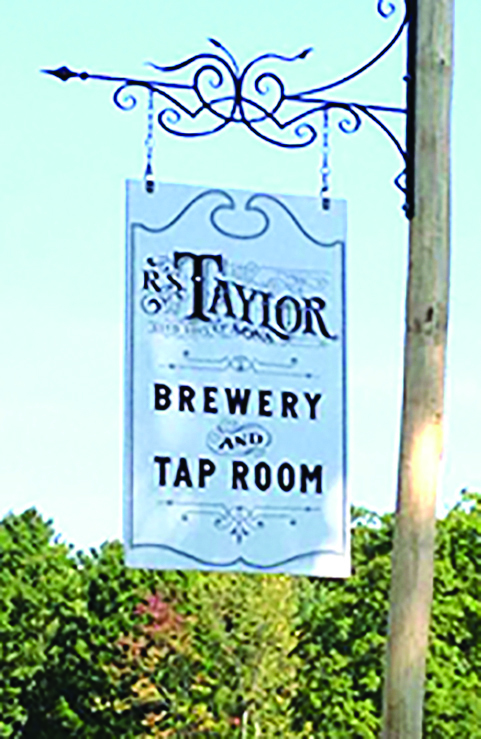 Taylor & Sons are allowed to open up to five tap rooms. The one in Saratoga Springs will be the second. A third is being planned in the Albany area, Taylor said. R.S. Taylor & Sons specializes in brewing English-style ales with a brewing system custom crafted by Portland Kettle Works in Portland, Ore. They use a combination of home-grown hops, hops grown for them at nearby Cold Spring Hop Farm in North Hebron, and a selection of British-grown hops. The water is from the artesian wells on the farm. Feigenbaum Cleaners owns this shop at 33 Railroad Place in Saratoga Springs. 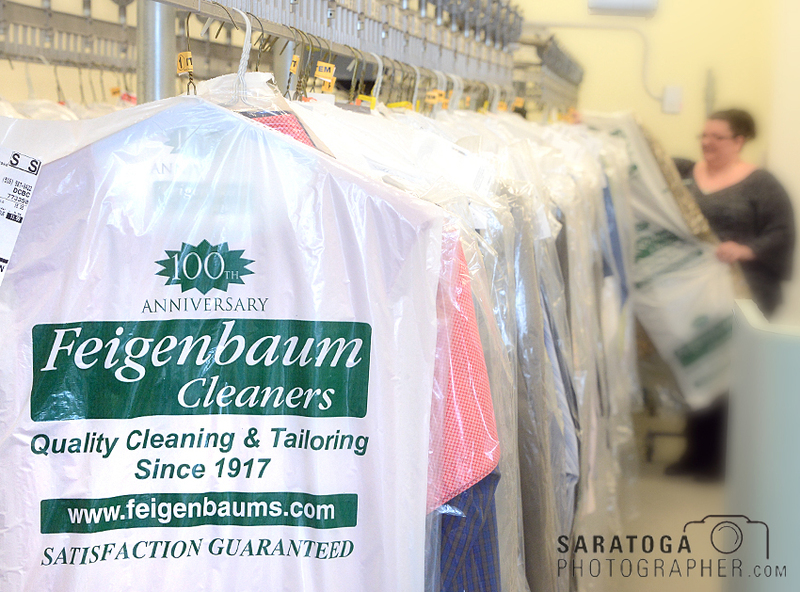 Feigenbaum Cleaners, one of the oldest dry cleaning businesses in New York state, with locations in Saratoga Springs and Wilton, is celebrating its centennial anniversary. The company was started in Glens Falls, where it is still headquartered, in 1917 by Herman Feigenbaum and his wife Jennie, both emigrants from Austria-Hungary. They met and married in New York City in 1909. The local shops are at 33 Railroad Place in Saratoga Springs and at Wilton Square, 3039 Route 50 (near Staples). The business also has shops in Queensbury and in Latham. “After working as a tailor for years in the crowded garment factories of New York’s Lower East Side, Herman decided to leave New York City to purchase a tailor shop in Whitehall,” said Todd Feigenbaum, the third-generation owner. 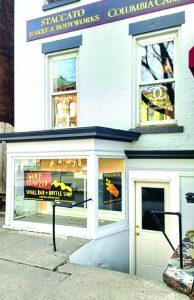 Pint Sized, a small bar and bottle shop, will open in Saratoga in the spring. Is bigger always better? Not necessarily, according to August Rosa who opened his second business, Pint Sized, at 489 Broadway in Saratoga Springs. “I am thrilled to finally announce this second business in the middle of Saratoga Craft Beer Week,” said Rosa in late February. He said Pint Sized is probably going to be the smallest bar in the area, presenting guests with a cozy craft-beer experience. The project is moving toward a spring opening date. Rosa said the small bar will have 12 beers on tap, available by the glass or growler. In addition to craft beer on premises, there will be a wide selection of brews to purchase for off-premise consumption as well. Product will be sold broken up as single units, packaged, or as mix-six packs. Rosa said there will be a small wine list and a rotating food menu with light fare. Jim Lozano founded CFO for Hire in 2000 and will continue to guide it for BST & Cos.
BST & Co. CPAs LLP, one of the Capital Region’s leading financial and management consulting firms, has acquired the finance, management and accounting services company CFO for Hire LLC. The Albany-based firm is operating under the BST banner. The acquisition was announced in March. Company officials said it will enhance and complement BST’s current service offerings of tax planning, financial consulting, and business valuation, by providing companies with an outsourced alternative for day-to-day accounting services. All 19 staff members employed by CFO for Hire have made the transition to BST. The new division of BST will be led by Jim Lozano founded CFO for Hire in 2000 and has grown the company from two clients at its inception to 84 clients in 2016. Under BST, CFO for Hire will continue to serve clients throughout the Capital Region, Central New York and Mohawk Valley, while expanding its offerings to businesses in the Hudson Valley. The Center for Economic Growth (CEG) has reached a $6 million target for its Accelerate capital campaign. Launched Sept. 1, 2016, Accelerate is a five-year campaign and collaborative investment to accelerate and secure the region’s economic stability. 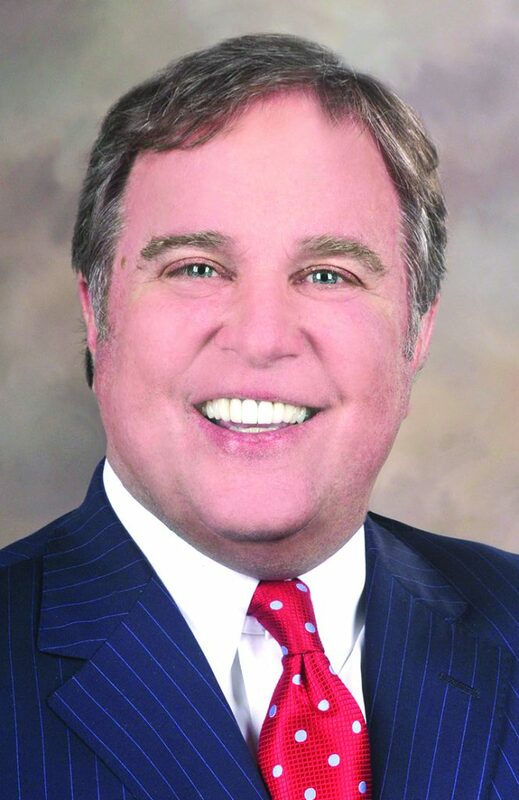 Officials said the success of the campaign means CEG—the Capital Region’s 30-year-old professional and economic development organization—will be better positioned to promote the eight-county region to businesses and entrepreneurs across the country and beyond while also helping companies already rooted in the region thrive. The region includes Saratoga County. “CEG’s successful $6 million capital campaign under the leadership of Andrew Kennedy marks the beginning of a new stage of advancement for not only this vital economic development organization but also for each of our region’s eight counties. The region-wide team effort—from developing our economic blueprint to the Capital 20.20 Plan—laid the groundwork. And now regional leaders have shown their confidence by rallying behind CEG so it can help implement the plan. Together we will pursue a bold new future for the Capital Region’s economy,” said Laura Schweitzer, chair of the CEG board and the University of Albany’s vice president for health sciences. As part of its Advance Saratoga Startup initiative to promote, retain and grow business and jobs in the region, the Saratoga Economic Development Corporation (SEDC) formed an entrepreneur incubator supported by peer mentors, capital networks and academic entrepreneur centers across the region. The SEDC then enlisted community input to develop a permanent name for its business accelerator. The winning name will be unveiled at an event with regional community and business leaders, entrepreneurs and students on 5: 30 p.m. Wednesday, April 12, at Bow Tie Cinemas in Saratoga Springs. “Generation Startup” captures the struggles and triumphs of six recent college graduates who put everything on the line to build startups in Detroit. Shot over 17 months, it’s an in-the-trenches look at what it takes to launch a startup. KPM Group Tax and Business Services is expanding with the relocation of its corporate offices to 125 Highrock Ave. in Saratoga Springs. Staff is shown here at the ribbon-cutting ceremony. KPM Group Tax and Business Services is expanding with the relocation of its corporate offices to 125 Highrock Ave., Suite 107, in Saratoga Springs. KPM is a national ‘boutique tax advisory’ firm, as well as traditional accounting office combining the talents and expertise of the father/son team of Paul and JP Komorny. Paul has been serving and providing the community of Saratoga Springs and surrounding area with accounting, tax and investment services for over 40 years. Since 1995, JP has been involved in real estate taxation and engineering-based cost segregation studies and other specialty tax cost recovery services for corporate or business clients. He offers a comprehensive approach to his corporate clients, with over 20 years of experience in cost-recovery tax methods. Company officials said blending the traditional with cutting-edge specialty tax recovery services is the foundation of KPM. KPM service offerings include cost segregation, asset dispositions, research and development tax credits, energy tax credits, commercial lending, payroll services, tax preparation, accounting/bookkeeping services and business planning. 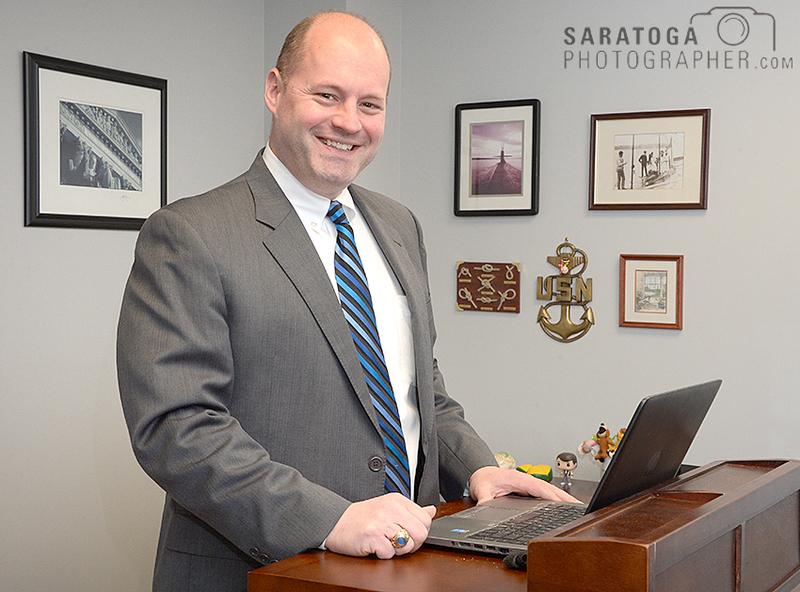 Michael Billok, resident at Bond, Schoeneck & King’s Saratoga Springs office. Bond, Schoeneck & King law firm opened a new office in Saratoga Springs on March 20. Company officials said the Saratoga office will serve a large client base comprised of businesses, nonprofit organizations and individuals in the Saratoga and southern Adirondack communities. The office is located at 268 Broadway in downtown Saratoga Springs. “We are opening the office to better serve one of the fastest growing communities in upstate New York,” said Michael Billok, co-chairman of the firm’s cybersecurity and data privacy practice, and member of the firm’s labor and employment practice. 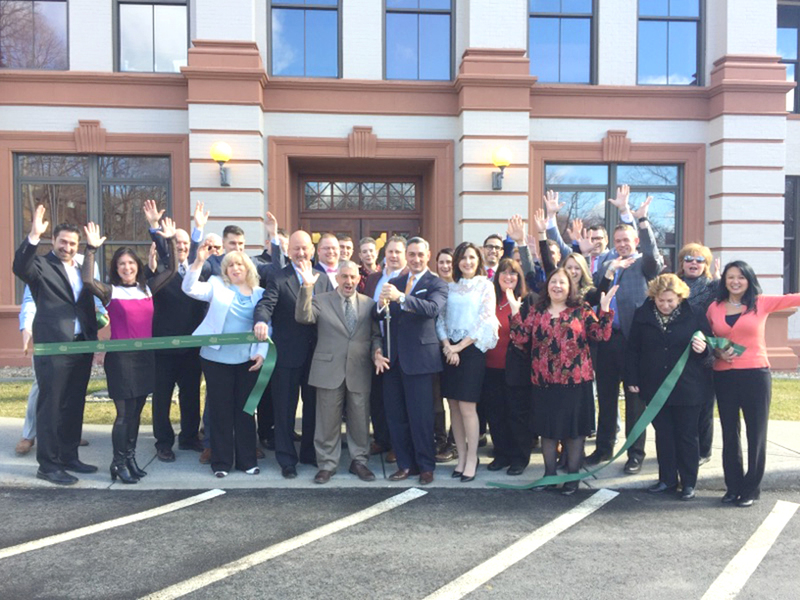 “With the number of clients we have in Saratoga and the surrounding areas, it made sense for us to add a Saratoga office to be more convenient for our clients. I’m excited to work in the heart of this vibrant community,” he said. Bond has been an active member of the Saratoga County Chamber for many years, and its attorneys serve on boards for several local organizations, including the Saratoga Senior Center, Saratoga County Economic Opportunity Council, the Prevention Council, the Adirondack Chamber of Commerce and Make-A-Wish of Northeast New York.